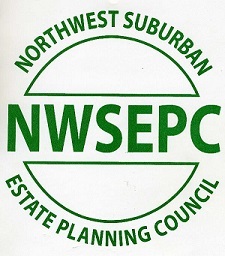 Each NWSEPC Member may bring one guest per year for free. To view the current code, go to the members only section of the website. You must login to view the members only pages. If you are unsure if you have used your guest pass for the year, please check your profile page. Nancy Spain practices in the area of general and probate related law. Prior to moving to Chicago in 1981, Ms. Spain was engaged in private law practice in Cleveland, Ohio. Since relocating here, Ms. Spain worked in the trust department of the former Lake Shore Bank before practicing with the firm. She is a graduate of Connecticut College, with Distinction in her Major, of Case Western Reserve University’s School of Law and has completed several courses in estate planning in the LL.M. program at John Marshall Law School. An active volunteer in her community, Ms. Spain presently serves on the Board of Trustees of the Newberry Library. She is a former board president of the cooperative in which she resides and was for many years a member of the Junior League of Chicago and Glenkirk Association, advisor to various Family Service agencies in Lake County, and a board member of the Illinois Branch of the International Dyslexia Society (ORTON). She is a Charter Member of the Academy of Special Needs Planners and volunteers monthly to prepare and serve meals to homeless residents of Chicago. Ms. Spain volunteers as a pro bono Guardian ad Litem through the program at Chicago Volunteer Legal Services (CVLS). Ms. Spain is a member of the Chicago and Illinois Bar Associations. 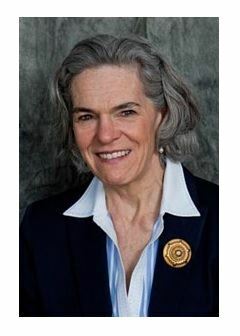 She has been actively involved in drafting legislation and working with state and local bar committees and state legislators to effect the passage of legislation involving probate and guardianship issues and has helped with or co-authored chapters for IICLE on Medicaid liens on settlements and Special Needs Trust administration. In addition to speaking on government benefits, guardianship and trust matters before parent organizations, local bar and bankers’ associations, Ms. Spain counsels Chicago area corporate entities regarding their duties as legal guardian of a disabled person or as Trustee of Special Needs Trusts.